These little crosses are the perfect gift for confirmation or first communion. 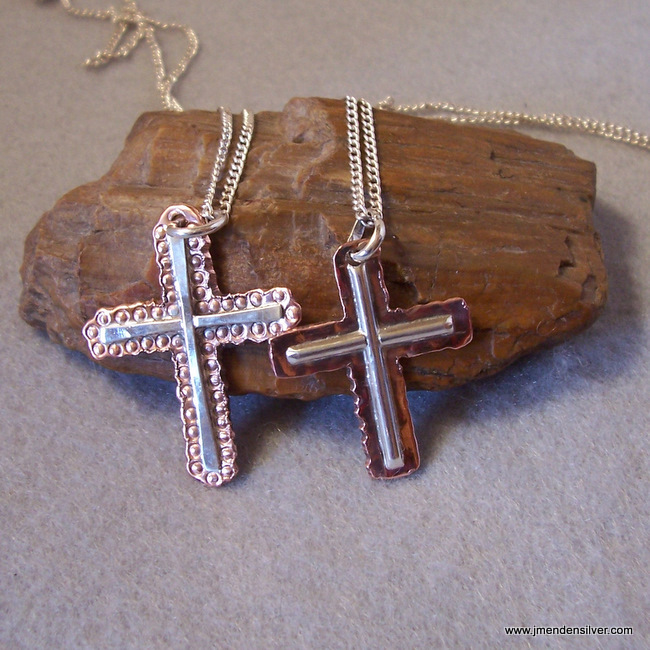 They feature a sterling cross which has been sweat soldered over a copper base plate. Size is variable and engraving on the back is also an option. These crosses happen to be a little over an inch long. A thick sterling jump ring has been soldered on for the bail. They would look good on a leather cord as well as a sterling chain. All crosses ordered will be slightly different.